The hardest part about teaching the twins to walk was trying to get them to walk while holding my hands. The bending over is *so* bad for my back, and I can only do it for about 15 seconds before getting dizzy. And I'm sure you all remember that ban of baby walkers with wheels, right? Well, now there's an answer...The Juppy! It's a fantastic invention intended to save my back without putting them in danger. It's even recommended by doctors! Now, just what is The Juppy? Well, this is what their website has to say about it. The Juppy Baby Walker is a recommended training aid for teaching your baby how to walk while saving the strain on your back. 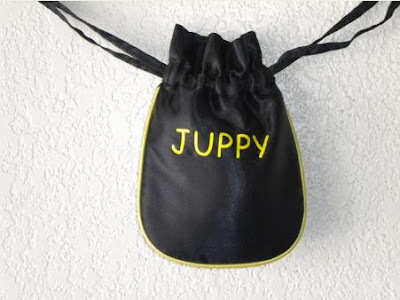 Customize a Juppy with your baby's name! Here's a short video to show you just how The Juppy works. IT WORKS! 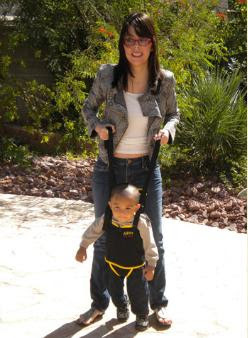 Sure, my kids were pretty close to walking anyway, but they are doing better now that we've tried out The Juppy. Soon they'll be running all around the house. One lucky reader will win a Juppy! First, you need to publicly follow this blog on Google Friend Connect. 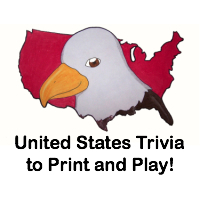 Then visit the The Juppy website, comment here and tell me what your favorite feature is. 1) Follow @TheJuppyWalker on Twitter and comment here with your Twitter screenname. 4) Become a fan of The Juppy on Facebook. 6) Friend The Juppy on MySpace. Check out some more reviews about The Juppy here. This giveaway will close on May 30, 2010 at midnight. The winners will be drawn via random.org and will have 48 hours to respond to my email or another winner will be drawn. Free shipping of prize to US and Canadian addresses only. We were sent The Juppy free of charge for the sole purpose of this review; no other compensation was received. All opinions expressed are my own. I think it's great that it's machine washable. Commented on your Tuesday Update post. Commented on your Measure Up Bowls Review post. Commented on your Monopoly Game Winners!!! post. Commented on your Cootie giveaway winner and Facebook giveaway post. Commented on your Candyland Winner and Update post. I entered your Me & Mommy giveaway. I follow publicly and I love that it is machine washable! My favorite feature is that it helps baby walk sooner, of course! I did 13 - 1. I did 13 - 2. I did 13 - 3. I follow via GFC and I like that babies can walk sooner without the parent hurting themselves. Commented on your "Me & Mommy Bandanna Drybib Winner!" post.